If you think you’ll build your business this year by doing more networking, think again. Nearly all time networking is time wasted. You might not think the author of three books on networking would say networking is a waste of time, but after twenty years of studying networking, after attending and facilitating over 3000 networking events, and after hearing over 10,000 networking self introductions in just one year alone, I’m comfortable telling you most networking is a waste of time. Why is networking a waste of time? Networking is just a vehicle. Like the automobile in your driveway, the vehicle itself wastes most of its time sitting. It may look good, it might even bring some admirers, but until you get behind the wheel and drive the car, it goes no place. And neither will you if all you do is network. Networking provides the vehicle to connect one with people and resources needed to solve problems. 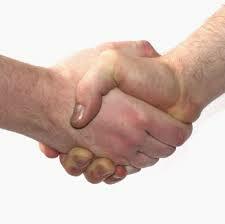 Truly effective networking is the vehicle you should use to solve the problems your friends and acquaintances have. This is when networking is useful. Too many people go to networking events to sell their stuff. They foolishly look at the room and think of all the people in the room they might sell. That’s not networking, that’s one-to-one selling. It’s like your car in the driveway. It may look good, but only you can use it. You might sell it once to someone else, but that’s the extent of its value. Only the best equipped sales person is successful in this type of “networking”. Some “networkers” walk in the room and think, “This will be a great resource for referrals.” As they meet people they explain what they do and cleverly ask, “Who do you know that I should meet?” They get leads and perhaps even a sale, but once again the focus is on them. It’s just like a car you wish to sell, you can ask everyone if they know someone who wants to buy it, but the likelihood of finding a match is slim. You’ll get a lead only when your product or service is an exact match for someone. But true networkers approach things differently. They understand that the real value of networking is in building relationships. They approach the room differently. “I wonder whom I’ll meet that needs to know someone I know” is their frame of reference. They give and give and give. Like the car, instead of letting people look at it or even selling it to them, they give everyone a ride where they wish to go, free of charge. Some people will take the ride and barely say thank you. Like the people who look at your car, these are the takers. You don’t want to be one of them. Some people will take the ride and offer to buy your car. These are the buyers. You’ll get them either way since your product or service solves their needs. You don’t want to target them since they’ll come either way. Some still will offer to drive next time. These are the givers. And only a giver can attract a giver. These are the people you should be seeking in the networking environment. Givers will immediately identify you as a giver and they’ll give to you as well. They’ll become friends. And friends buy from and refer friends to friends. And so do their friends. This is what is called networking. As you begin to refocus your efforts decide now to be a giver and a friend. Approach networking with the intention to give and you’ll attract others who give. And everyone will win.